Los Angeles-based EDM group AMERA pays tribute to The Cranberries front-woman Dolores O’Riordan who recently passed away at the top of the year. 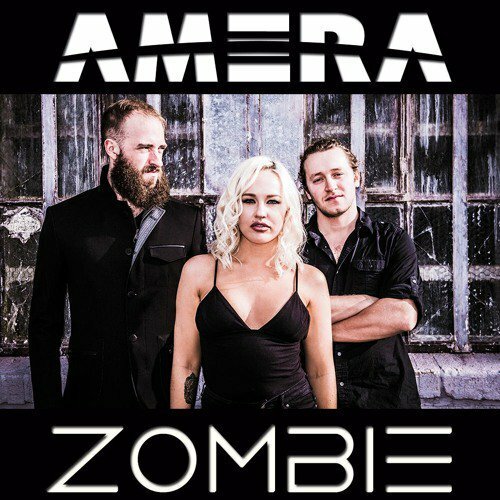 On the track, the live performance band recreates The Cranberries 90’s killer classic “Zombie” as an electrifying, rhythmic drum-n-bass soundscape paired with intense vocals from AMERA’s lead singer Brooke Adams. Despite the pulsating beat and breathtaking drops, the band’s cover of “Zombie” holds the same haunting harmonies and brooding, edgy feel as the original 1994 single. Aside from their ability to impressively cover classics, the trio (Brooke Adams, Mikael Oganes and Donovan Butez) has collectively performed hundreds of shows worldwide and released a slew of high-powered, original music that can be heard on their recently-released self-titled EP. On the album, you’ll find the energetic single “Connected” that gives listeners a taste of what AMERA’s thumping, kinetic sound is all about. Check out their “Zombie” cover and “Connected” up-top and find more exclusive tracks from their EP below.